The hallways had cleared except for a handful of students and a few custodians as the campus shut down for the night. 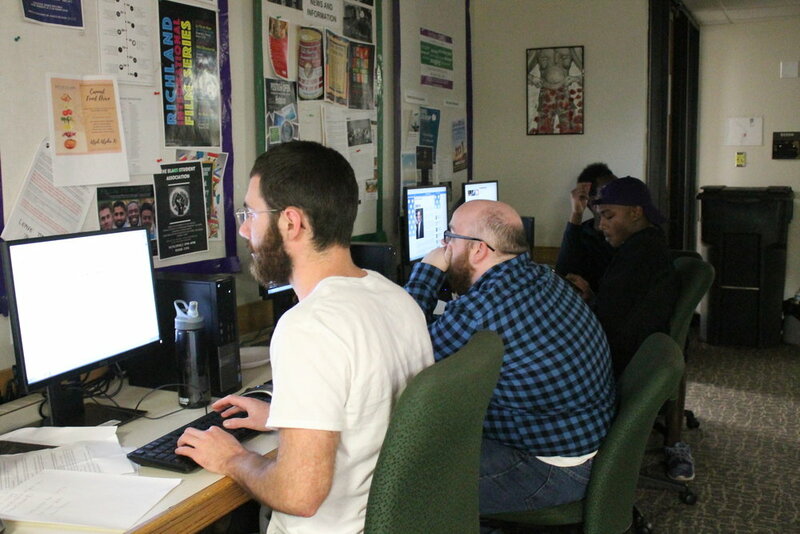 As people headed home, more than 30 students, faculty and staff piled into the Chronicle newsroom to cover the mid-term elections as the polls closed. 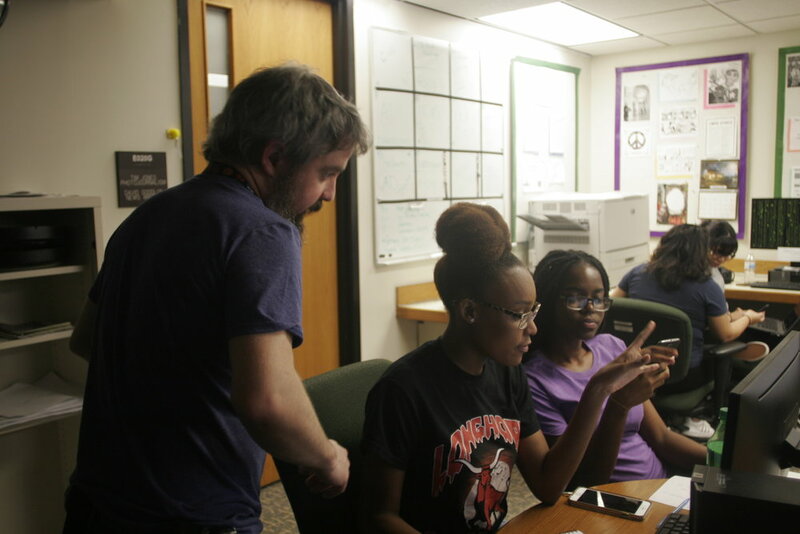 Student reporters focused on finishing their stories as breaking news flashed across the newsroom TV. Students rushed from one corner of the room to the other to ensure the information in their radio scripts was correct. The pressure in the room mounted with each new announcement. The polling percentages of senators and representatives winning and losing fluctuated by the minute as writers tried to keep up. Reporters double-checked their information before going to the radio station to announce the results. Student writers documented report after report as they contemplated which states would finally become red or blue. Even without the atmosphere of chaos in the student newsroom, the past two years of political pressure had created a sense of anticipation unlike any event they had experienced in American politics. Professors, faculty and staff helped the student reporters make sense of the loose papers shifting through their hands. “It’s always an adventure and fun to watch and see what happens,” said Erica Edwards, lead faculty for journalism. She helped manage students in the radio station and co-anchored the broadcast for the night along with government professor Patrick Moore and economics professor Carlos Martinez.